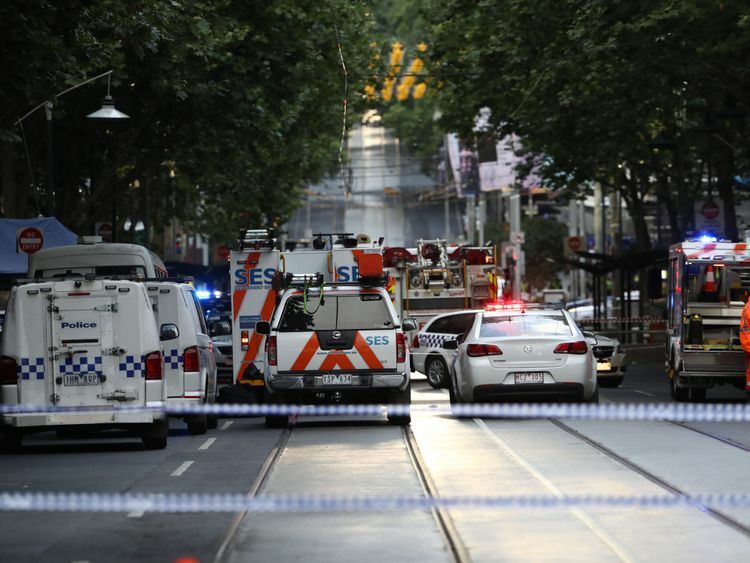 A man has killed one person and wounded two in a knife rampage in Melbourne that police are treating as a terror attack. Speaking at a news conference, Chief Commissioner Graham Ashton said that the suspect had “family associations that were well known” to police and that he had been known to Australia’s security agency. “We don’t believe there is an ongoing threat at this stage, but certainly we are treating it as a terrorism incident”. 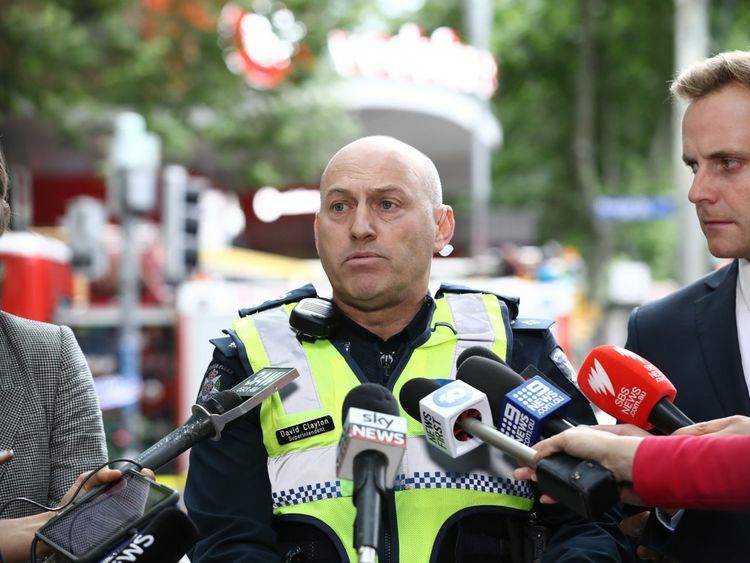 The attacker, who has not been identified, was originally from Somalia but lived in Melbourne’s northwest. He was shot by police and died shortly after arriving at hospital under police guard. 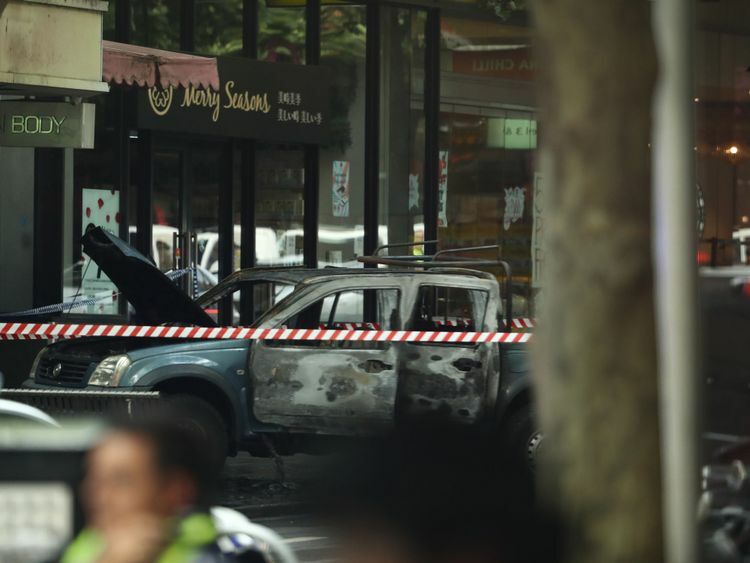 Witnesses said the man had parked a vehicle on Bourke Street, a busy shopping area in Australia’s second-largest city, before it was seen in flames. It is not yet clear whether he deliberately set the vehicle on fire but Mr Ashton said the car had been laden with gas cylinders. Police had been called to the car at 4.20pm Friday, local time, by which time the man had already started attacking bystanders. Earlier, Superintendent David Clayton had said investigators were “keeping an open mind” about motive. He said that when police arrived, they were “confronted by a male brandishing a knife and threatening them”. “At the same time passers-by were calling out that members of the public had been stabbed,” he added. Two people, apparently members of the public, came to the aid of police, one using a shopping trolley and another using a chair to try and stop the attacker. Social media footage showed the attacker trying several times to stab one of the officers before a second officer drew his gun and a single shot could be heard. Mr Clayton confirmed three people had been stabbed, one of them had died at the scene. The two other victims were in hospital, with local newspaper The Age reporting that one has a head injury and the other a neck injury. The street was closed off and shops, including two large department stores, were evacuated.